The Arc’teryx Cerium LT is a piece of gear so warm and light you’ll be able to brave exposed belay stations with just a base layer and barely notice it when stuffed away in your pack. The only problem? A price tag that will transform your wallet into a piece of ultra-light kit as well. It’s rare to be psyched when you see a massive cold front forecast for your next weekend of climbing. That’s because these were the conditions I needed to justify donning the Cerium LT Hoody after it landed on my doorstep in early Autumn. I just couldn’t wait to test it out in the colder conditions that I prefer for overnight hiking and climbing. 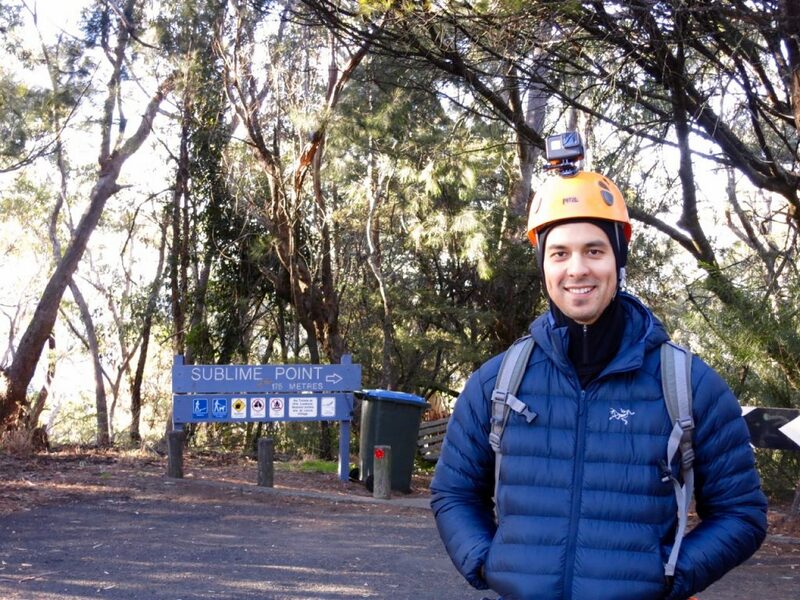 I wore this jacket over the course of two months, taking it on climbing trips to the Blue Mountains and Southern Highlands, car camping, a mid-winter overnight walk and a few chilly days around town. The temperature range was from 0 degrees up to about 15-18 – any warmer than that and there was just no point wearing this bad boy. The Cerium shines on cold winter mornings in the backcountry. Photo by Roger Stuart. Filled with top-of-the-line 850 fill-power down (and a small amount of synthetic Coreloft around the shoulders), slipping on the Cerium LT brought instant warmth, no matter the situation. 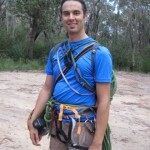 On the south-facing walls of Sublime Point in the Blue Mountains, I pulled it on when belaying my partner on the classic multi-pitch Sweet Dreams. No sunlight? Cold breeze? Sub-5-degrees temperatures? No problems. It was a welcome relief to slip this on after a cold night in Royal National Park, where we slept through temperatures that dipped to around 3 degrees. The hood kept my head toasty too. Bottom line: in all but the most extreme environments, the Cerium LT should keep you warm, especially with a bit of layering. Too warm, sometimes, as I found out, descending to the Sweet Dreams Wall. Within 5 or 10 minutes of moderate exertion, I was sweating like a pig and had to stop to take it off. An active layer, this is not. 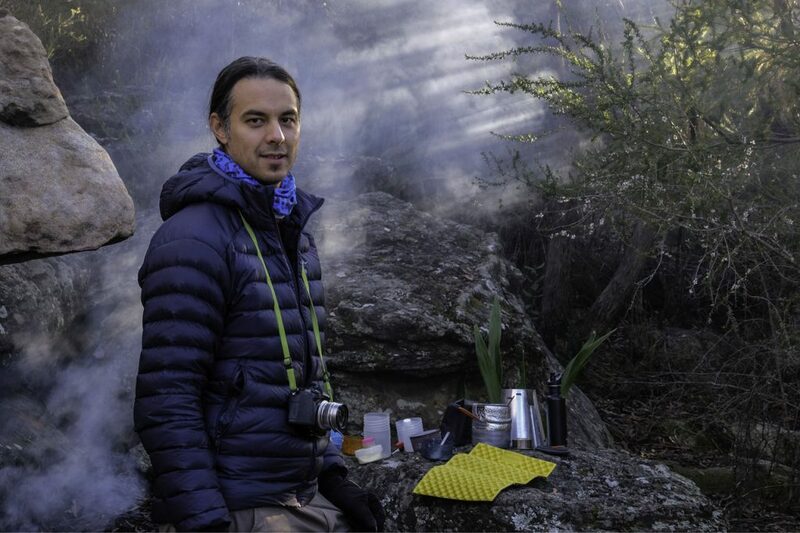 The Cerium LT kept me toasty on a chilly, Blue Mountains morning of climbing in the shade. But it didn’t stop me from looking like a dickhead with a GoPro attached to his head. Photo by Marty Wolczyk. Warmth to weight ratio is the main reason to buy this jacket: it’s hard to believe you can get so much toastiness for 305g. It compresses to about the size of a 1L Nalgene bottle, using a nifty pouch attached to an inner pocket. 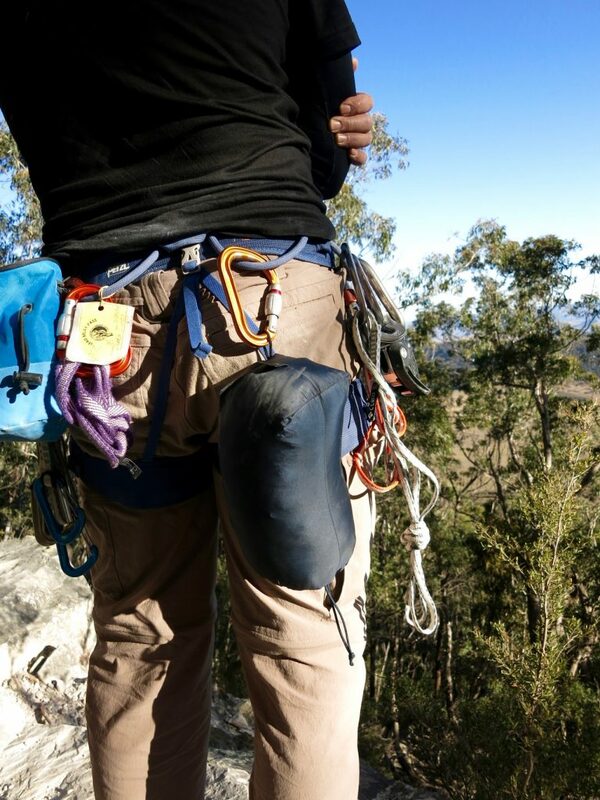 It also has a handy loop for clipping off the back of your harness when climbing. I found it super convenient to scrunch up before setting off on a pitch of climbing, clip to my harness and then pull out again at the next belay station. The warmth-to-weight ratio of the Cerium is incredible and it stuffs neatly into a 1L-or-so sack attached to an inside pocket: perfect for hanging off your harness or stashing in a pack. Photo by Marty Wolczyk. 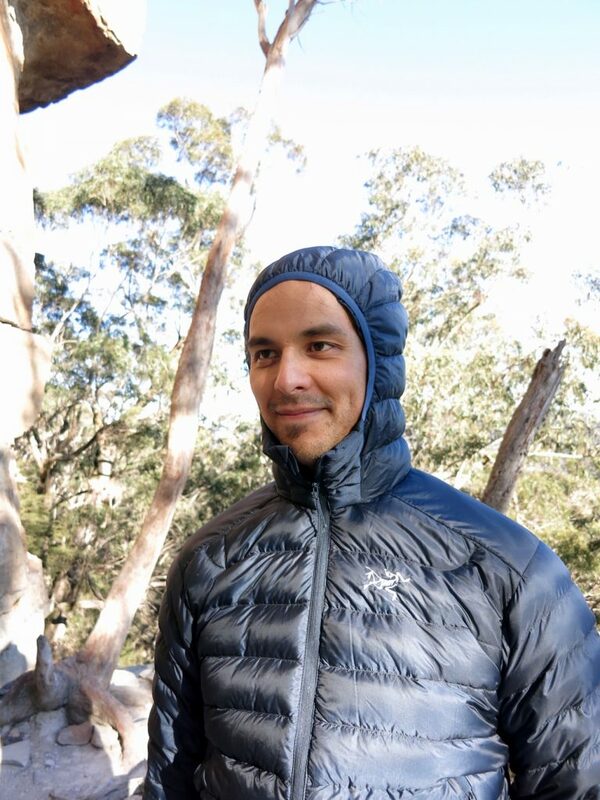 The Arato 10 nylon shell is wind proof – in frigid winds at Bardens Lookout crag in the Blue Mountains it kept me from freezing up until the sun finally hit the wall. I wore it around Sydney’s Circular Quay one night as a cold south-westerly (with gusts of up to 60km/h) whipped across the water. I stayed perfectly comfortable with just a t-shirt as a base-layer. When it comes to water resistance, the story isn’t quite so rosy. The shell has a DWR coating that will repel light showers – the water beads nicely in light rain (as I found on a drizzly day in Mittagong). That’s important because down loses its loft and insulative qualities when wet. The synthetic Coreloft insulation in the shoulder area mitigates this to some degree but using a hydrophobic down could have made this the perfect piece of gear. I wish the hood was a bit looser so it would fit over a helmet. I had a warm head but at the expense of looking like a speed skater. Photo by Marty Wolczyk. The Cerium LT is an incredibly well-made piece of kit. If you were to draw up an outdoor gear pyramid, Canadian manufacturer Arc’Teryx would sit somewhere up the top. But quality comes at a premium. In this case, it’s A$580. The shell fabric is thin so shouldn’t be worn off-track. That said, I ended up on the path less trodden after topping out Sweet Dreams and had to push my way through some thick bush. Despite pokes by a few sharp sticks, the jacket held up a-ok. The experience was a bit nerve-wracking, however, and not recommended. You’ll look the part in this jacket: it has a relatively casual fit (casual for a technical jacket, that is) that allows a good range of movement and means you won’t feel out of place walking around town or standing next to the dairy fridge in your local supermarket. You won’t feel like an over-inflated tyre either, thanks to the high-loft down. The nylon shell felt surprisingly silky against my skin. My main gripe is the hood: it’s pretty tight fitting and looks a bit dicky. If you’re not into backcountry skiing, alpinism or climbing, you might be better off getting the non-hoody version and wearing a beanie which, granted, won’t keep your noggin’ as warm. The hood also doesn’t fit over a climbing helmet, reducing its versatility somewhat. The waist cinch is a bit finnicky though that didn’t really bother me. 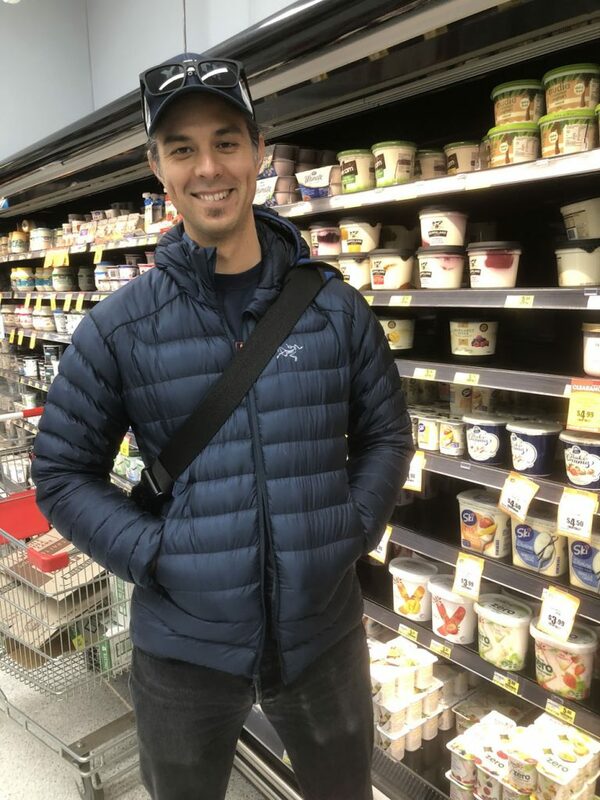 If you ever want to embarrass your partner, make them take a photo of you in your puffy in to the dairy section of your local supermarket. But my point is that it’s stylish enough to wear around town on a cold day (or next to a refrigerator). Photo by my embarrassed partner. This jacket is a one-stop shop for winter adventures. But do you need it? If you’re into multi-pitch climbing, lightweight hiking, alpinism and backcountry skiing – pursuits where performance is critical – then it should definitely be on your shortlist. It’s also worth considering as a stylish all-rounder if you live in colder parts of the world (I find the winters in Sydney just a bit too warm for a puffy most of the time). Are you serious about getting outdoors in the colder months (and climates)? Do you value technical performance,quality and weight above all else? Then run to your closest outdoor retailer and hand over your hard earned. Then keep on handing it over: the $580 price tag is about as steep as it gets for this market segment. There are cheaper ways to keep your pack weight down but the Cerium LT Hoody is hands down the best piece of insulation I’ve ever worn. 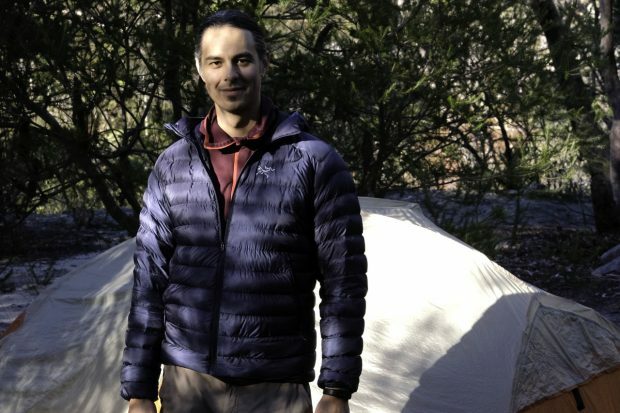 NOTE: I was provided the Cerium LT Hoody for review purposes and got to keep it. The views are entirely my own. A version of this review is also published on We Are Explorers. There are cheaper ways to keep your pack weight down but the Cerium LT Hoody is hands down the best piece of insulation I’ve ever worn.